In 1972, the Wyoming Valley suffered a catastrophic disaster — the Agnes Flood. Those who lived through the experience will never forget it. I am one of those people. I was awakened to a blasting bullhorn with a message that kept repeating “Evacuate this area immediately.” Living only six blocks from the Susquehanna River, we were in a prime location for the resulting devastation. I was young, and my father was panicked. He ordered us into the car immediately. My dad did not know if we were in immediate danger. He could not know if the river had begun overflowing its banks. My sister and brother-in-law were visiting from England, and my sister was seven months pregnant. It was a hot mess. I was shouting to my father that I had to take care of the animals. At that time, I had two dogs, two cats, and a parakeet. One dog was 5 years old, and the puppy only six months. I carried the parakeet to the third floor. I put the puppy and older cat into the car. My younger cat had disappeared. In typical cat fashion, he was hiding as a result of all the rushing and tension. And before I could get ahold of my other dog, my father ordered me into the car. We had two feet of water on the second floor. It was days before my father was allowed back into the area to return to our home. Of course I was panicked, pleading with him to retrieve the beloved animals I had left behind. I was heartbroken, highly stressed and devastated. I felt totally helpless and of course guilty that I was not able to be there for them, to feed and protect them. When my father returned, he found the parakeet on the third floor alive and well. The cat was on the second floor, absolutely wild with fear but thankfully also alive and unhurt. My dog, however, lie dead on the couch in the living room. She could have escaped to the second floor as the cat did. I believe she died from a heart attack that resulted from fear. It was horrible. In 1972 there was absolutely no resources to assist with animal rescue and shelters during natural disasters such as this flood. 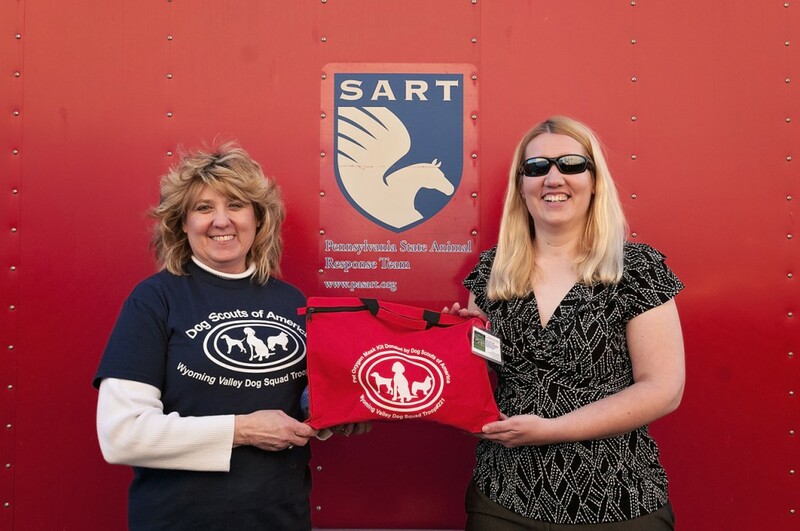 But I am extremely happy to report that an organization called the Pennsylvania State Animal Response Team (PASART) was created, and in 2004, the County Animal Response Team (CART) was established in Luzerne County. This organization supports the prevention, preparedness, response and recovery for emergencies affecting animals. Team coordinator is Tracey Morgan-Chopick, and their team consists of approximately 12 volunteers who will respond to emergencies at the local level. 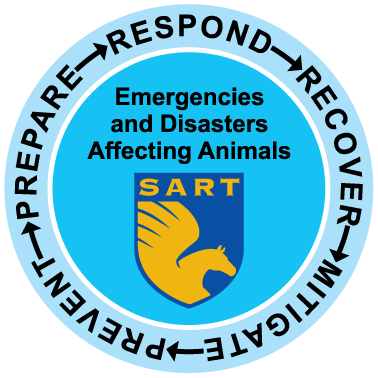 The goals of CART are to facilitate a rapid, coordinated, and effective response to any emergency affecting animals; to decrease the health and safety threat to humans and animals; to minimize the economic impact of emergencies affecting animals, and to prevent or decrease the spread of disease during emergencies affecting animals. In addition to floods, emergencies can include fires, hurricanes, tornados, ice storms, power outages and car accidents. Tracey informed me that the number one reason people don’t evacuate is because they won’t leave their animals. This team wants to prevent any injury and danger to humans, animals and emergency responders by preparation through education. And if my column today provides this invaluable information to its readers, I will be extremely grateful to have contributed in a small way. Have two forms of ID for your pet (microchip, tattoo, collar ID). In the event of fire, waterproof stickers placed on front and back windows of your home will alert the emergency responders as to how many animals are inside. Have an established veterinarian in your area who is familiar with and has treated your animal. Develop an evacuation plan and identify relatives, friends or hotels that will accept your pets in the event of an emergency. Establish a buddy system with a neighbor in case you are not home at the time of a emergency. Prepare items or a list beforehand of any supplies that would be required during an emergency exit such as a collar and leash, medications, food and water, vaccination records, emergency contacts, favorite toys or blankets. And of course for cats, you can have a carrier/cat harness, kitty litter and box ready to go. 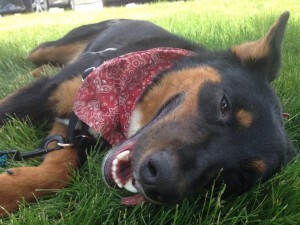 But Tracey emphasized that in the event of an emergency, get your animals into the car or to a safe area. Just get them out. Collars, leashes, etc., can be provided to you afterward. The key element at times of an emergency is to make a quick and safe exit, and thinking ahead or having family drills is ideal to be better prepared should a dangerous situation occur. 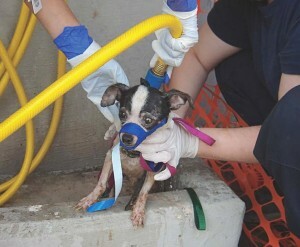 If an evacuation should happen, residents can locate a Red Cross shelter, but animals are not permitted there. 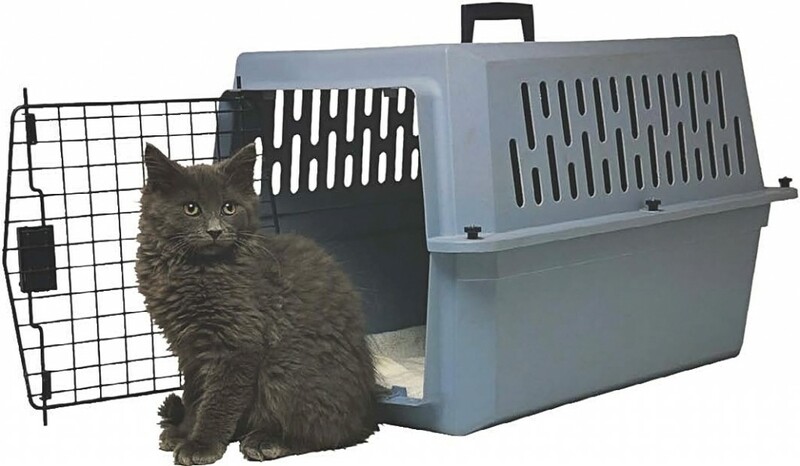 However, CART(Luzerne County Animal Response Team) can create a nearby shelter for the animals for temporary lodging to keep them safe until they can be reunited with their owners and returned to their homes. Whenever possible, these shelters will be near the Red Cross centers so pet owners can visit and feed their pets. As mentioned previously, all efforts are made to keep the humans and animals safe and secure during an emergency situation. The team is also prepared to rescue livestock such as horses, cows, goats, etc. The same rules apply for livestock such as having halters and lead ropes available, ID, current vaccinations, food and water sources, and trailers and vans well maintained, full of fuel and ready to move at all times. Lastly, prepare a pet first aid kit that can be used to administer first aid until the animal can be taken to a veterinarian. Some items that should be included are hydrogen peroxide, gauze pads, antiseptic wipes, blanket, cold pack, eye dropper, digital thermometer, e-collar, antihistamines, anti-inflammatory drug, cotton, antibiotic ointment, roll cotton, scissors, spray for “hot spots,” sterile saline, styptic pencil or powder, nail clippers, towel, tweezers, vinyl or latex gloves for human, any medications, vaccination records. PASART’s commitment is: Any Animal, Any Disaster, Anywhere. It is my hope that more police departments will become aware of this organization and the service it provides. 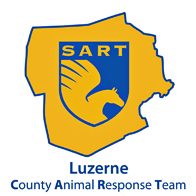 Tracey indicated that CART(Luzerne County Animal Response Team) has also been called upon to assist with rescues in Lackawanna County as they do not have a team in their area at the present time. CART(Luzerne County Animal Response Team) depends on donations to obtain supplies, equipment and food for evacuation victims, and they do have a “wish list” of needed items. For information, visit their website at www.luzernecart.us. This topic is very near and dear to my heart. Thank you Tracey, husband, Jeff, and volunteers for the important service you provide. We are very grateful. Oh, and Tracey, Smudge sends kisses! Be sure to place permanent, waterproof “Pets Inside” stickers on your front and back windows to alert emergency workers that pets are in your home. If possible, list the number and types of animals in your household. Should you be unable to go home to retrieve your pets during a disaster, this sticker could help rescue workers find your pets in your home. Start a buddy system with a neighbor. Ask him/her to check on your pet during a disaster if you are not home. Agree to do the same for your neighbor. Exchange information on veterinarians. Assemble a disaster kit. 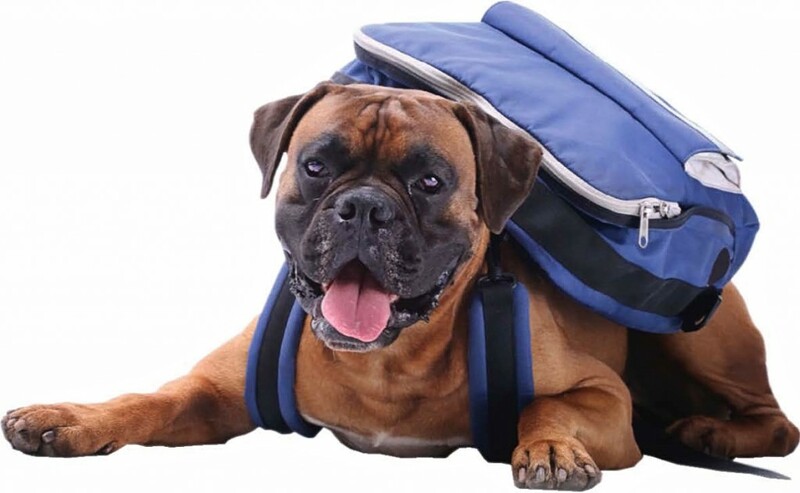 See recommended pet first aid kit list and pet emergency survival kit. 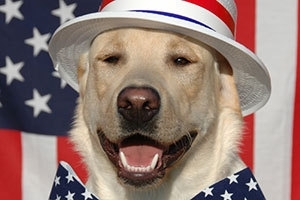 Animals brought to a pet shelter are required to have proper identification collar and rabies tag, proper identification on all belongings, a carrier or cage, a leash, an ample supply of food, water and food bowls, any necessary medications, specific care instructions and news papers or trash bags for clean-up. Bring pets indoor well in advance of a storm. Reassure them and remain calm. Walk pets on a leash until they become re-oriented to their home. Often familiar scents and landmarks may be altered and pets could easily be confused and become lost. Also, downed power lines, reptiles brought in with high water, and debris can all pose a threat for animals after a disaster. After a disaster animals can become aggressive or defensive—monitor their behavior.